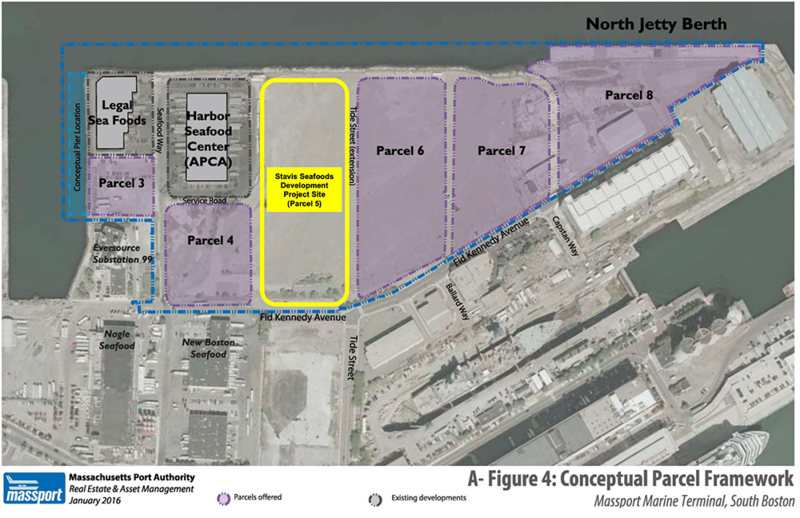 Stavis Seafoods announced that they have been chosen by Massport to be the developer for an industrial waterfront parcel in Boston's marine industrial park. Stavis is partnering with Pilot Development partners, after the initial developer failed to begin construction soon enough. The new buildings will consist of 140,000 square feet, with Stavis being the primary tenant. The complex will include other seafood processing, trucking, and shipping uses.